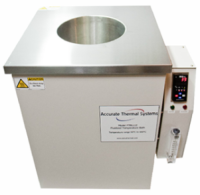 Accurate Thermal Systems offer several models of Fluidized Baths that provide very stable and uniform temperature environments for nitinol shape setting, heat treatment, annealing, tempering, thermal stress analysis and shape setting of various metal components, parts and assemblies. We have larger Fluidized Baths for volume production runs of material as well as a small bench top system for R&D work and small batch analysis. Here are some of the key applications. 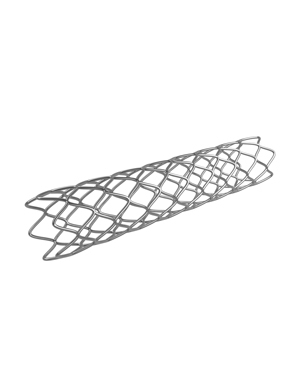 Shape setting nitinol stents, shape setting medical devices, heat treat/annealing of platinum and stainless steel guide wires, nitinol assemblies, tool cleaning for medical tubing extrusion or any other temperature application that requires the best stability and uniformity at temperatures up to 605°C. We recommend the model FTBSL6, FTBSL15, and FTBSL25 for these applications. If your application requires a Fluidized Bath capable of higher temperatures for your heat treatment application we offer units that operate up to 800°C and another up to 1000°C. As these are non-standard products, the units are designed and manufactured to meet the customers specific requirements along with any accessories. Please contact Sales for more details. Excellent heat transfer properties of aluminum oxide allow heat soak and overall manufacturing time to be minimized with predictable results. Fluidized aluminum oxide provides fast heat up to immersed parts and objects ( 3 to 4 times faster than an oven) without the required post processing clean up and safety concerns with molten salt baths. Accuthermal Fluidized Baths can be operated with inert gas such as Argon or Nitrogen to reduce oxidation. Download the form HERE to have us perform a free trial heat treatment of your device or component. The FTBSL models use a unique bath cover and lid combination that provides full access to the bath while minimizing heat loss and blocking media from leaving the system. This results in a cleaner work environment around the Fluidized Bath with minimal dusting as compared to other Fluidized Baths. This bath cover and lid which is included on both FTBSL models has a working diameter of 7.3" and a depth of 15" for the FTBSL15 and 25" for the FTBSL25. An included lid with handle can be modified by the customer to suspend devices and fixtures for immersion into the bath. The lid can also be modified to include thermowells for placement of temperature sensors for calibration applications. Windows PC scheduler software which can be used to have the bath at operating temperatures first thing in the morning and cooled down to safe temperatures after hours.